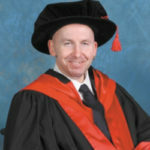 Dr Peter Gibilisco is an Honorary Fellow at the University of Melbourne. He was diagnosed with the progressive neurological condition called Friedreich's Ataxia, at age 14. Peter Gibilisco, Thursday, 25th August 2016 - Meritocracy and affirmative action? Author and disability researcher Dr Peter Gibilisco offers some key ideas for the next generation of disability activists.